Connecting with and cultivating excellent experiences for MentorMate’s largest clients is Carrie’s expertise and passion. She invests time to ensure the success of everyday interactions, as they provide the foundation to meaningful solutions and deliver exceptional results long-term. Always a good listener, Carrie works closely with clients and staff on both sides of the Atlantic to clarify needs and make sure solutions are delivered rapidly. 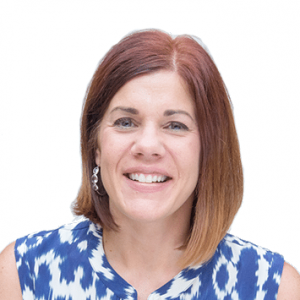 Past titles include Director of Sales at a software solutions company and Account Manager at an ERP software company, Carrie leverages the diversity of her experiences and the minds at MentorMate to connect clients with solutions that address business needs. A foodie and lover of animals, Carrie is a regular platelet donor at the American Red Cross. She also volunteers for Feed My Starving Children. What makes for effective collaboration with clients? For Carrie, Strategic Accounts Director, the key is being a good listener and leveraging the perspective gained through diverse experience. Carrie works closely with clients and staff on both sides of the Atlantic to clarify needs and deliver solutions rapidly.